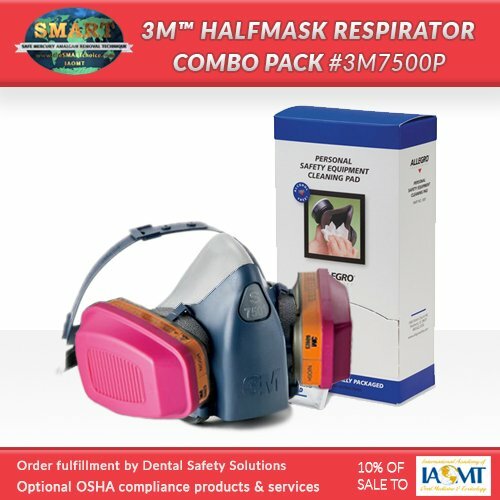 Please select the size and quantity for a product and then click the “ADD TO CART” button to add the item to your cart. 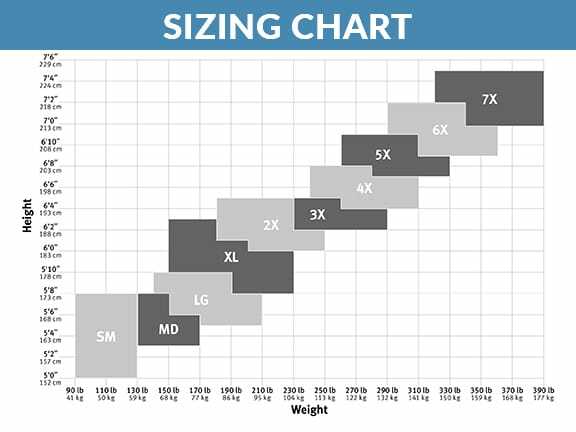 Repeat this process for each item on the page you wish to purchase. 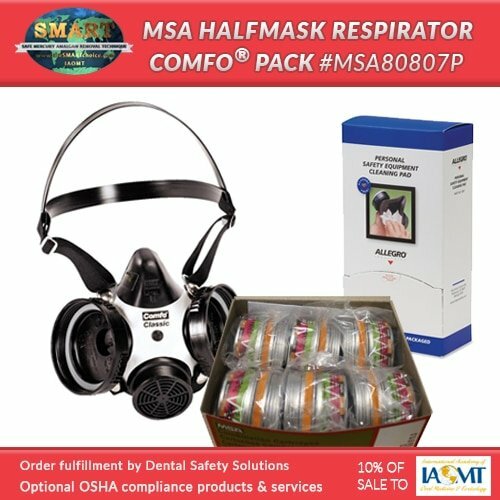 These personal protection items will be contaminated during the removal of mercury amalgam fillings, thus they are listed as a monthly recurring order as they are to be used once and then properly disposed of. Clicking the little green icon with the plus sign, next to the product picture, will show the description field below the product. Once clicked the green box will turn red. Clicking the red icon, now with a minus sign will hide the description area. 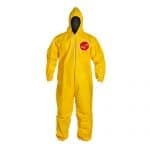 The items below contain options for personal protective coveralls, some with hoods and feet and some without. 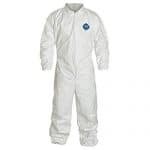 By purchasing coveralls with hoods and feet, you save money by not having to purchase hoods and shoe coverings separately. But we give you options to do either. 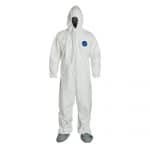 Even with all engineering controls the removal of a mercury dental filling will release mercury contaminated particulate matter which can stay airborne for up to 10 minutes, eventually landing on surfaces and flooring. 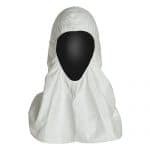 Implementing head coverings that also covers the neck area will protect skin from mercury exposure. Choose a REDUCED RATE subscription. 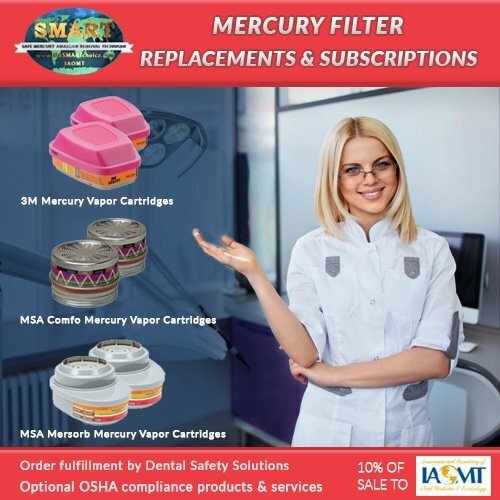 Studies have shown that even with engineering controls such as water and high volume suction, that the removal of mercury dental fillings generates mercury contaminated particulate matter. 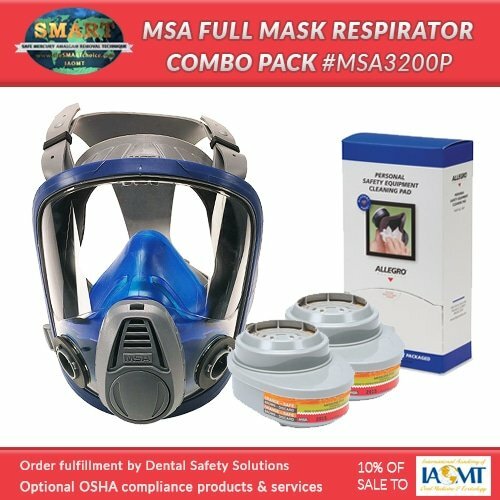 Some of these particles will bypass suction controls and be deposited on the face and neck of the dentist and assistant, where it will continue to off gas or be absorbed into the skin, thus exposing dental professionals after their respirators have been removed. 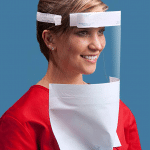 Faceshields are a vital component to preventing mercury particulate from landing on the face and neck of dental professionals. 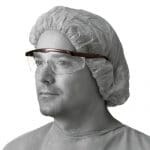 Likewise, safety glasses will protect your eyes. 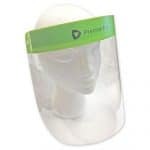 Faceshields with protection drapes will provide added protection from mercury particulate matter. 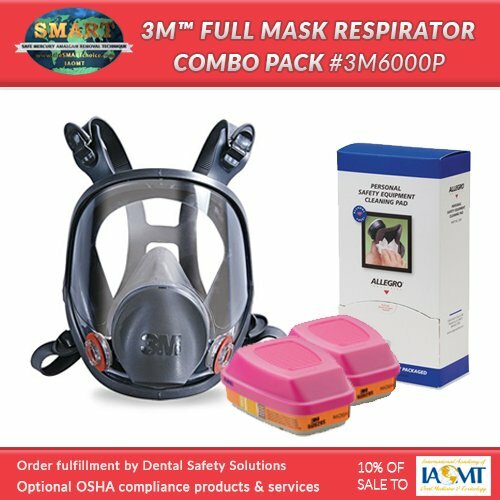 Faceshields will be contaminated after each mercury filling removal and thus are one time use items, so please order a monthly amount equal to the number of amalgam removal sessions you perform each month. 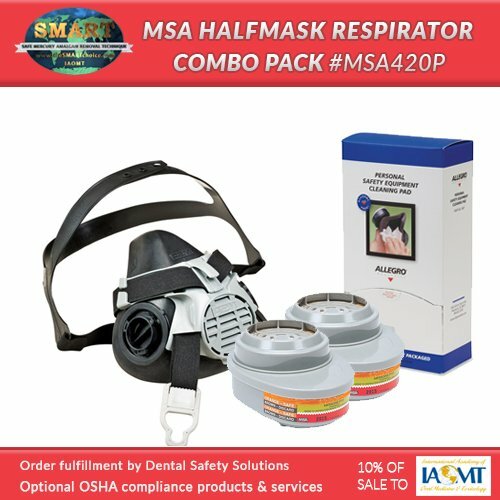 Any items present during an amalgam removal that will be reused should undergo thorough cleaning to remove mercury. A dentists’ hands are at the source point of mercury exposure during the removal of an amalgam filling. 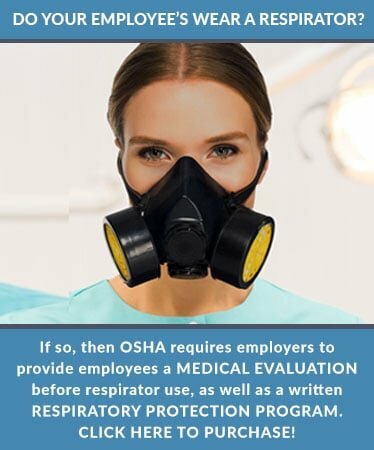 Even with all engineering controls, large amounts of mercury have been measured on the gloves of dental staff after removal of an amalgam filling. 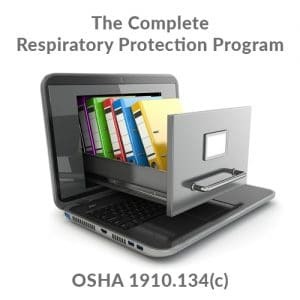 OSHA designates a skin notation for mercury absorption, thus we offer thick nitrile gloves from 6 millimeters up to 8 millimeters. 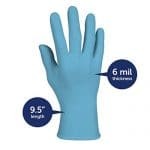 KleenGuard G10, Powder-Free, Blue Nitrile Gloves are designed for tasks requiring maximum dexterity without sacrificing protection. 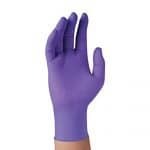 Raven powder-free nitrile exam grade disposable gloves are 6 mil thick for durability and 9.5″ in length for added protection and are sold 100 gloves per box. Textured fingers allows for a superior grip of pneumatic tools. 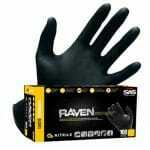 Gloves are non-latex and provide excellent sensitivity. 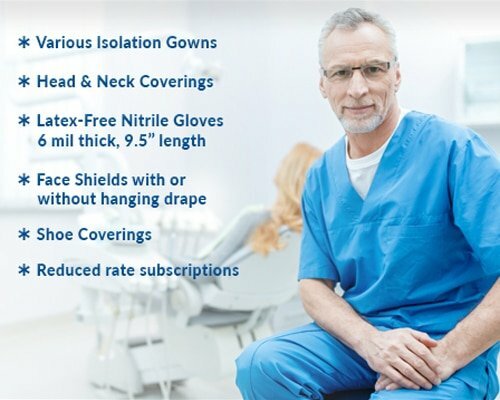 Raven Nitrile gloves provide protection for dentists’ hands, which are closest to the source of mercury exposure when removing mercury amalgam dental fillings. 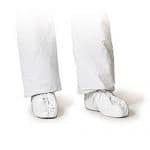 Mercury can be absorbed by the skin, thus the hands must be adequately protected. 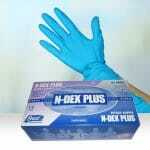 Since mercury passes through latex more easily, only 6-mil and higher Nitrile gloves should be used. 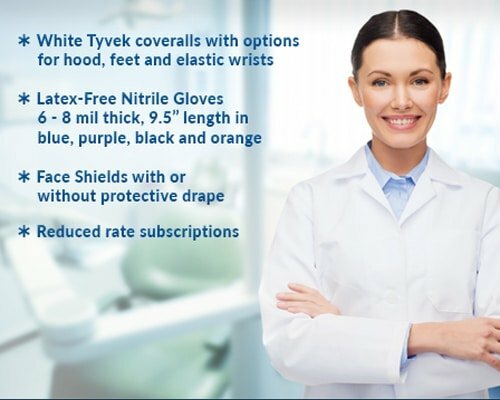 Additionally many mercury-safe dentists apply Hgx Cream to their Nitrile gloves for added protection against mercury particulate.